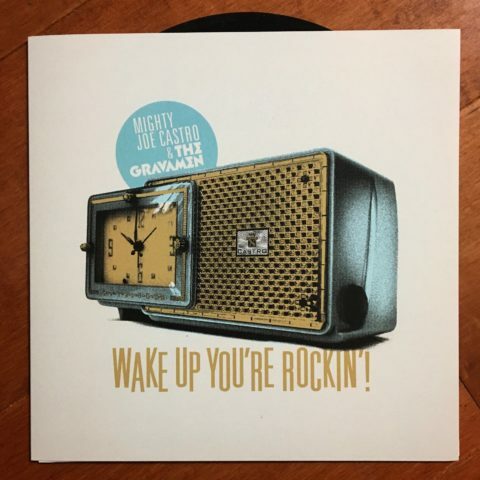 The new Mighty Joe Castro and the Gravamen 7” vinyl singles are in! These won’t be officially released until October 26 but, for a limited time, they are available exclusively in the shop! Special thanks to Adam and Matones Music in Collegeville, PA for helping to finance the pressing. When I mentioned we were considering doing vinyl, without hesitation he immediately offered to donate some money for the cause. Support your local record store! Support your local scene! It’s a win-win for everyone. And we’ll be celebrating the official release of the record at Oddity Bar on Fri Oct 26, as part of their annual Halloween party with The Erotics, Kitty Rotten and Night of The Living Dead NYC. 9pm start time. 21 and over. $5 to get in. Come get spooky. And if you don’t already, please follow The Gravamen on Instagram, facebook and Spotify. The band also has a brand new website – take a look around. 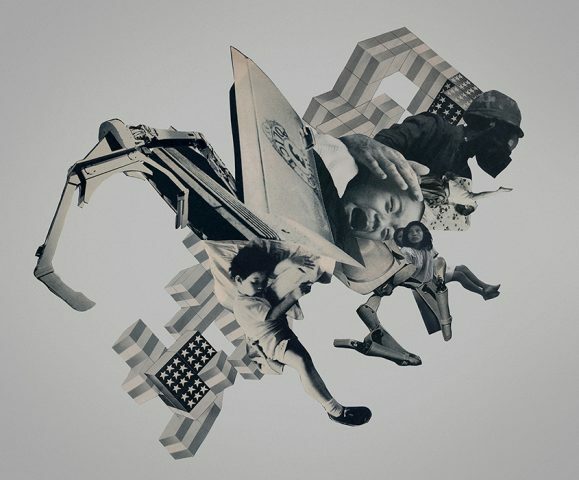 Washington DC – be sure to stop by Latela Gallery for Dimensions, a group collage exhibit. Lots of great artists exhibiting. Personally, I’ll have two collages in the show.The ppening reception is on Saturday October6 from 4-6pm. The show runs until October 27. For more information, click here. 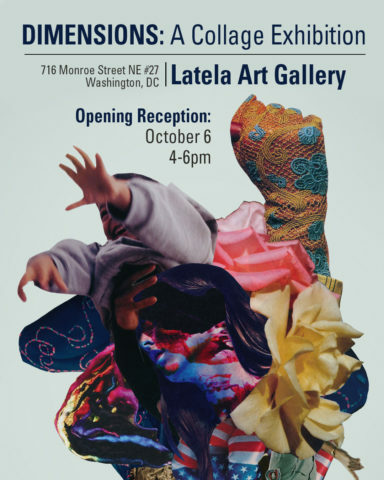 (Washington DC) Latela Art Gallery is proud to host its third annual collage and mixed media group exhibition; a tradition to support the mixed media arts by drawing focus to the variability of media in creative expression. 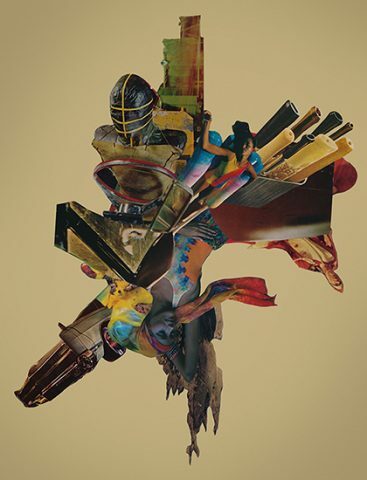 Dimensions: A Collage Exhibition features artists who use different types of media to explore the idea of space in art. Each artist showcase their ability to create dynamic compositions that have distinctive styles and color palettes. The inclusion of an array of styles reflects the concept of collages themselves, for they include many kinds of mediums and source material. Featured artists: Violeta Barcenas, Annie Broderick, Mills Brown, Madison Bolls, Joe Castro, Jessica Dame, Kay Fuller, Alexander Goastièr, Rebecca Goodman, Anne Hanger, Deming Harriman, Tamora Illasat, Ashley Sauder Miller & Maryam Rassapour. 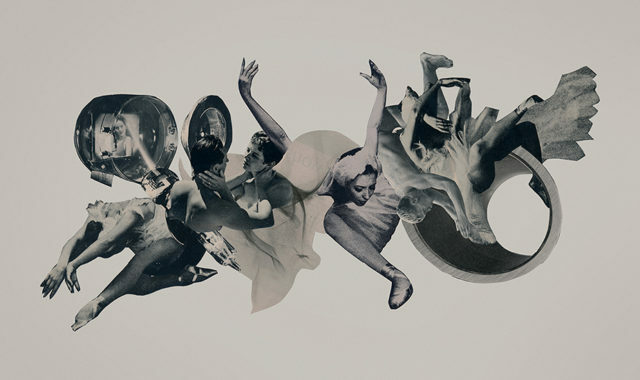 The Dance is a piece of cut paper collage art using images found in vintage magazines and other ephemera that are then dry adhered to paper with a gel medium. The original image is roughly 21 inches wide by 12 inches tall (not including matte and frame) and was completed in September 2018. And, as some of you may have heard, my latest musical project Mighty Joe Castro and the Gravamen recently released our debut 4 song EP – pick it up from our bandcamp page for $4 American. The record is also available on spotify, Amazon music, iTunes and more. 7 inch vinyl coming soon so stay tuned. A Song for the Moon is a piece of cut paper collage art using images found in vintage magazines and other ephemera that are then dry adhered to paper with a gel medium. The original image is roughly 17 inches wide by 18 inches tall (not including matte and frame) and was completed in Aug 2018. Mocking Fate: I recently realized it’s been 10 years since my friend and former band mate Christopher Tucker passed away. I think about him often and, despite how different we were and how often his behavior drove me crazy, I really miss him, especially his wicked sense of humor. He taught me a lot and, at times, challenged my perspective on things. Take it as a good reminder to surround yourself with people who think differently from you, ’cause in the end, they push you and make you a better person. 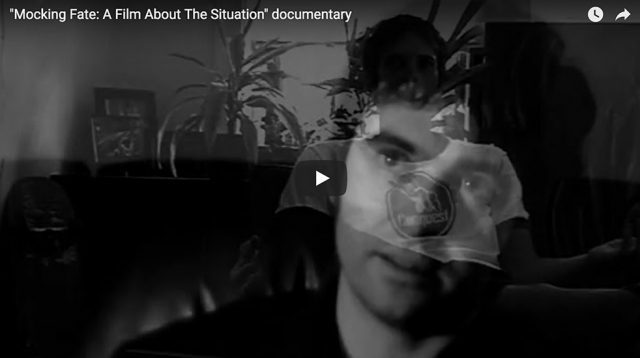 This is a short film that our friend Justin Clowes put together as a promo piece for The Situation’s debut album, which was about to be released on Elephant Stone Records in 2006. Unfortunately, the band imploded around the same time the doc was finished, so it was never officially released. Despite all it’s technical faults, I really cherish this time capsule as I think it does a fair job in capturing that time in our lives. The six years we spent in that band were intense and life changing for sure. Anyway, enjoy the film. For those of you who were there, much love and respect to you. Thank you for everything. #1285 -Wake Up, You’re Rockin’! 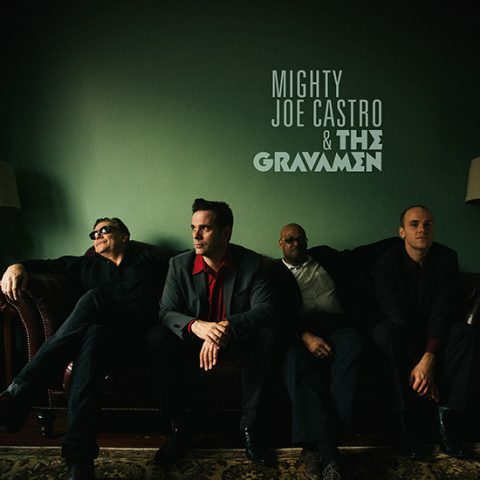 Excited to announce the debut release from my latest music project, Mighty Joe Castro and the Gravamen. Our four song EP entitled “Wake Up, You’re Rockin’!” is now available through bandcamp and features our modern take on vintage rockabilly and the original primitive rock and roll sound.. 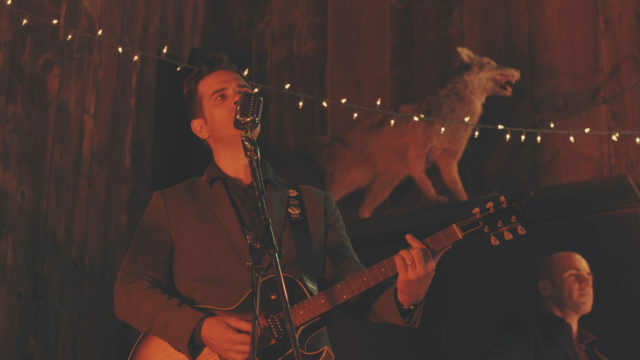 The EP was recorded at Cambridge Sound Studios in South Philadelphia, PA, May 4-6, 2018 and was engineered by Jim Salamone and Todd Mecaughey. It was Mixed/mastered at Cambridge June 11th and June 13th by Jim Salamone. Listen below for yourself. And if you like what you hear, please consider spending the $4 to purchase a copy so we can continue to record and release more songs. And please help spread the word. You can follow The Gravamen on instagram and facebook. 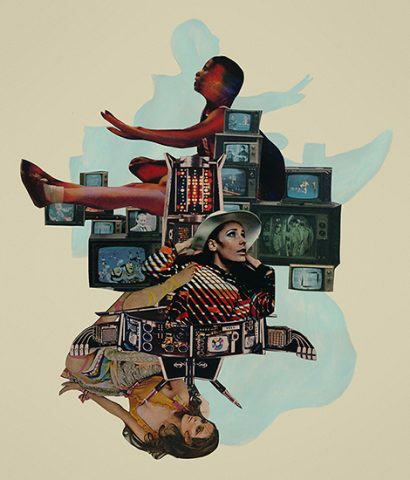 Vanishing Point is a piece of cut paper collage art using images found in vintage magazines and other ephemera that are then dry adhered to paper with a gel medium. The original image is roughly 18 inches wide by 24 inches tall (not including matte and frame) and was completed in June 2018. Prints are available from society6 and saatchi online. Inquiries about the purchase of the original piece should be sent directly to mightyjoecastro@gmail.com. And please take a moment to follow my new rockabilly band, Mighty Joe Castro and the Gravamen on instagram and facebook . We have been in the studio mixing four songs and should have some tracks up as well as some vinyl for sale in the coming months. And, if you don’t already, please also follow Mighty Joe Castro on instagram and twitter. 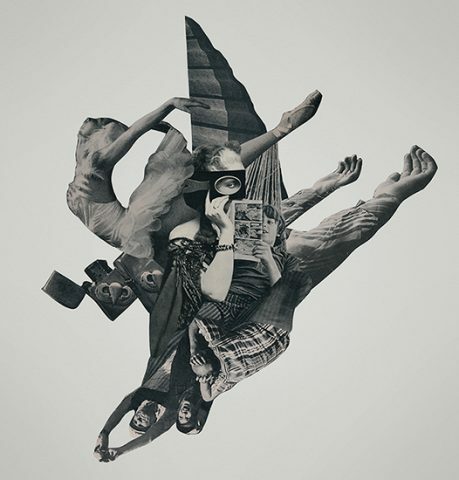 Never A Blind Eye Turn is a piece of cut paper collage art using images found in vintage magazines and other ephemera that are then dry adhered to paper with a gel medium. The original image is roughly 17.5 inches wide by 14.5 inches tall (not including matte and frame) and was completed in June 2018. This piece was created after hearing an audio recording of frightened children who were forcefully separated from their parents and taken to interim camps at the United States / Mexico border. I will be honest in stating that, as a parent myself, I could not make it through the entire audio. It was too heartbreaking. This is a disgraceful policy that must be stopped.